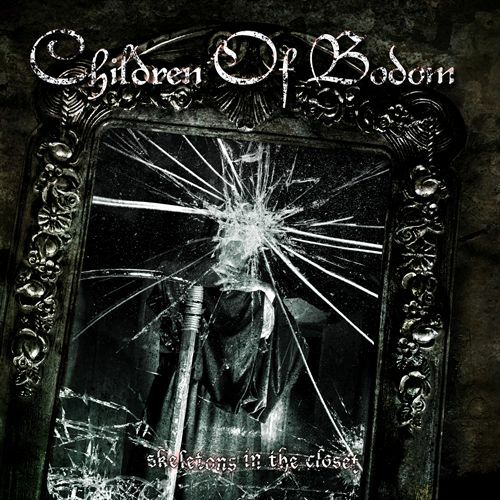 Cover albums are always questionable propositions, but Children Of Bodom needed to do something to remove the foul taste of Blooddrunk, and this eclectic collection of their take on seventeen songs by other artists will do. Skeletons In The Closet has the feel of an effort throwing everything at the wall and not really caring what sticks; it also reeks of the distinct brand of inspiration that comes from the bottom of a bottle. But no matter; when a death metal band takes the risk to cover everything from Kenny Rogers to Slayer, passing through Billy Idol, and ending with Britney Spears, the results will be at least anthropologically interesting. And some of the more successful tracks are the ones that may seem less likely to succeed. Children Of Bodom taking on Spears' Oops...I Did It Again is loads of unfiltered fun, the metal version turning the crunch of the song to eleven and transforming Spears' fake innocence into unbridled lechory. And in the hands of Janne Wirman's keyboards, Kenny Rogers' Just Dropped In (To See What Condition My Condition Was In) becomes a surprisingly rousing operatic metal anthem. More expected is the success achieved on Slayer's Silent Scream, Bodom perhaps the only band in the world that could cause more chaos than Slayer while grasping the shredded strands of a maniacal thrash song. The Scorpions' Don't Stop At The Top, Iron Maiden's Aces High and Anthrax's Antisocial are Bodomized with interesting results, different enough to be clearly distinct from the originals, and not necessarily for the worse. With seventeen tracks on offer there are some misses and many average efforts. Least interesting is No Commands from Finland's Stone, a case of the source material not really deserving much attention, but getting some here because Stone happen to be one of Roope Latvala's earlier bands. Nothing that Poison did deserves any sort of attention, but Bodom manage to actually make Talk Dirty To Me almost listenable. Skeleton In The Closet is an undoubted distraction, but as with any forced detour, there is some interesting scenery along the unnecessary road.